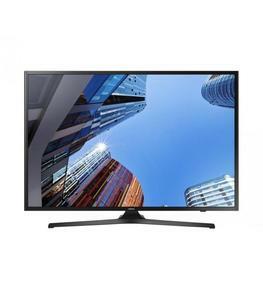 The Samsung 40M5100 is a basic budget LED TV that comes with excellent connectivity features, mobile mirroring, and HyperReal Picture Engine for providing a comfortable and pleasing viewing experience. 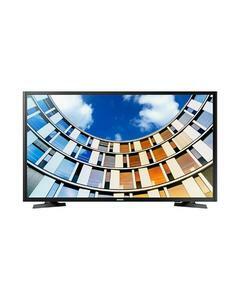 The Lowest price of Samsung 40 Inch 40M5100 LED TV in Pakistan is Rs. 57,499, and estimated average price is Rs. 59,750. The prices are collected from the best online stores in Pakistan like Daraz.pk - updated Apr 2019. This 40-inch LED TV from Samsung provides an enhanced viewing experience to audiences through its Clean View and Wide Color Enhancer features. These digital features of the Samsung 40M5100 reduces noise and interference in the source image to provide a clear picture quality. The connect and share feature on the Samsung M5100 enables you to mirror your mobile screen and share media files with the TV over a USB or Bluetooth connection. This 40-inch Samsung LED TV is perfect for individuals looking for a large screen and good picture quality within a limited budget.